I’m mostly back after an Amazon-related debacle. You’ll notice there’s no more links to Amazon here going forward, which has been a hassle, but the switch to in links to emusic, Insound and others should be better in the long run for users. I’ll grant that Amazon was convenient, but a case can be made that they aren’t good for the user or the artist. Missed The Shins last week, but our return is marked with Justin Townes Earle and Miike Snow, so it can’t be that bad. Also of note this week are releases from the Seattle hip hop THEESatisfaction, La Sera (Vivian Girls bassist Katy Goodman), Paul Weller, Retribution Gospel Choir, Poor Moon and the Mars Volta. 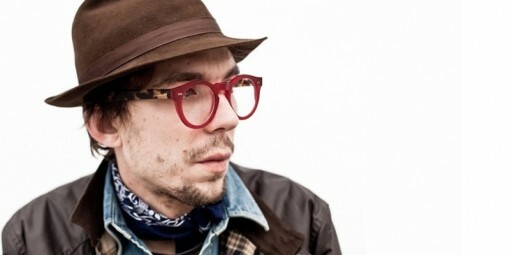 It’s odd that it takes a move to London for Justin Townes Earle to sound more like his old Memphis home than ever, both in horns and attitude. Sadly, most of the stylistic change for Earle on Nothing’s Gonna Change the Way You Feel About Me Now is feels a bit stagnant and predictable, unlike his previous offerings (especially 2010’s excellent Harlem Blues River). Thankfully, even a predictable JTE release can work some magic (see “Memphis in the Rain”), even when it’s only 30 minutes in length. Knowing two-thirds of Miike Snow is producers Chris Karlsson and Pontus Winnberg (Bloodshy & Avant — hitmakers for Britney Spears [“Toxic”], Madonna and Kylie Minogue), it’s hard to believe that Happy You should feel so restrained. Their sophomore release,Happy You, is still full of potentially exciting hits (see “Waves,” “Paddling Out), but so much of the release just washes over you and is forgotten after listening. I’m still listening, though.